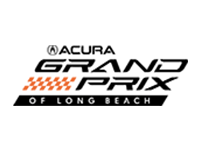 Alexander Rossi took Long Beach Qualifying by storm capturing a fifth career pole position in a final fast lap. The quartet of Andretti cars have all shown competitive pace throughout the weekend as the team chases a 200th victory. Sunday brings a morning warmup followed by 85 laps of street-course racing, live on NBC Sports Network at 4 p.m. ET.